With an offices in Van Nuys and West Hills, EyeDeal Eyecare serves California’s Sherman Oaks area. Our Van Nuys eye care office is conveniently located on Van Nuys Blvd in Van Nuys/Sherman Oaks. EMERGENCY INFO We Take Eye Emergencies. If you experience loss of vision, double vision, swelling, infection, metal in the eye or any eye emergency, contact us. We’ll schedule you immediately and help you with the best treatment to prevent complications and promote long-lasting clear eyesight. 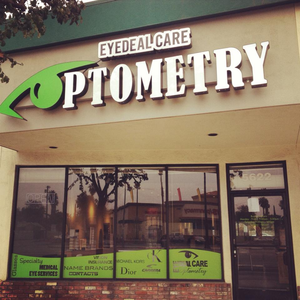 Welcome to Eyedeal Care Optometry serving Van Nuys/Sherman Oaks.